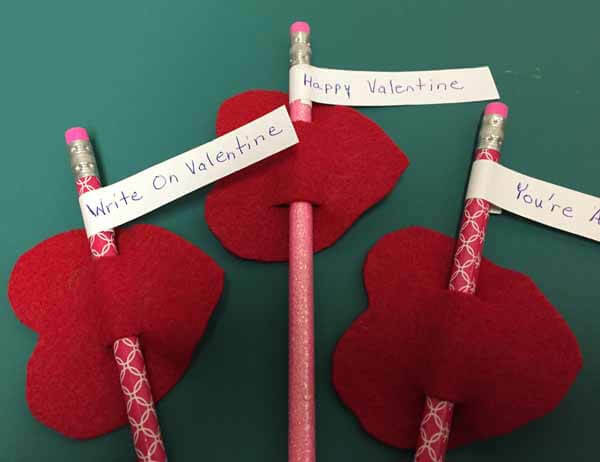 Valentine’s Day is fast approaching and it is time to come up with a small favor or card your child to handout to friends and classmates. 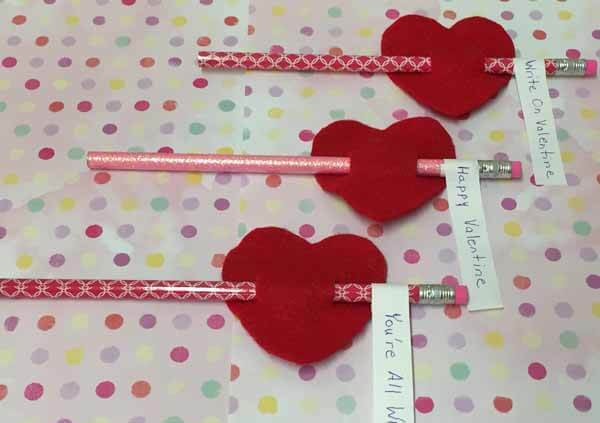 These heart pencil valentine favors are a great candy-free alternative and the pencil can be used long after the holiday is over. 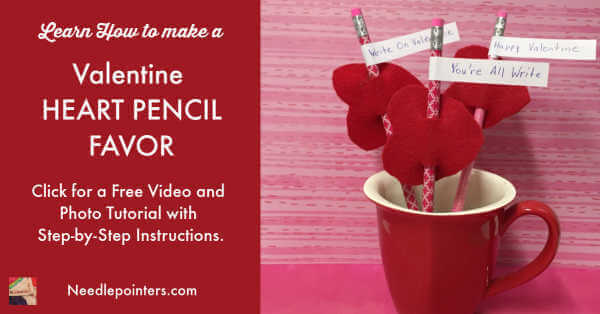 Watch this video tutorial and read on to see how to make a cute, easy Valentine's Heart Pencil favor. 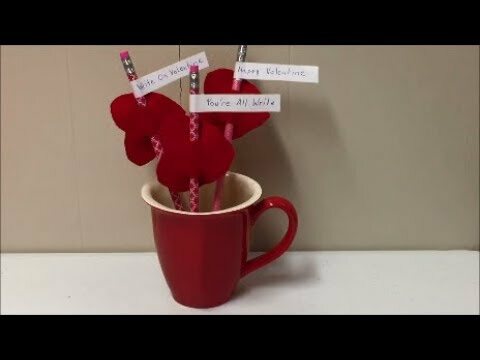 Click to watch the Valentines Heart Pencil Favor video in Youtube. 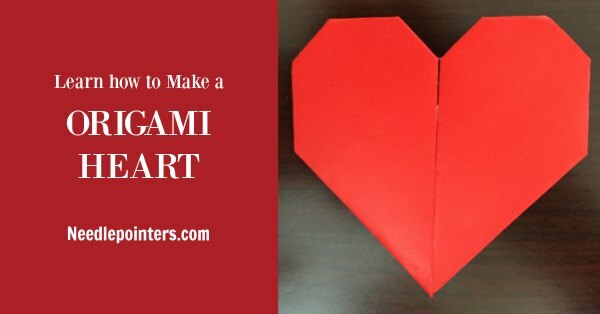 Make a heart template by tracing a heart-shaped cookie cutter onto an old greeting card. 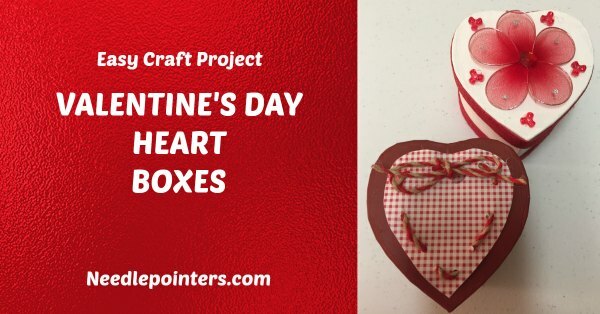 If you do not have a heart-shaped cookie cutter, cut a heart shape out of paper and trace onto an old greeting card. 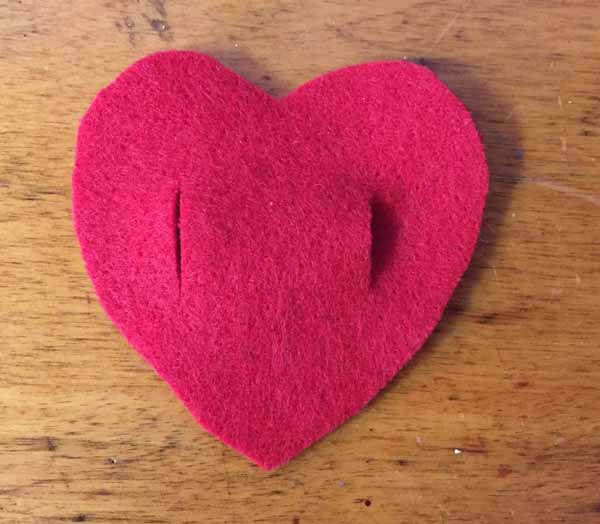 Use the template to trace the heart on the red felt. 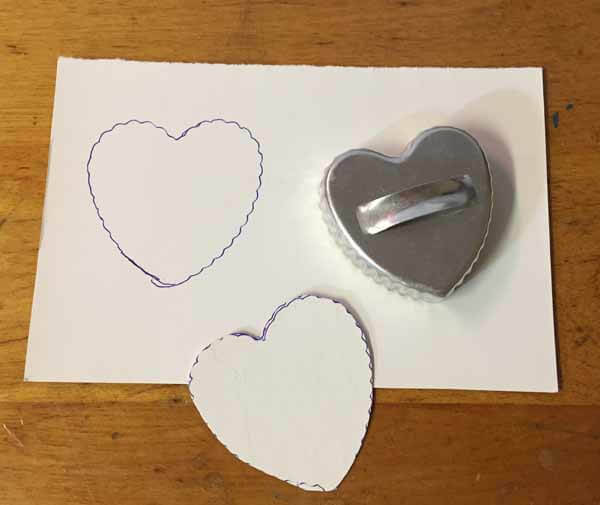 After tracing heart, cut the heart out. 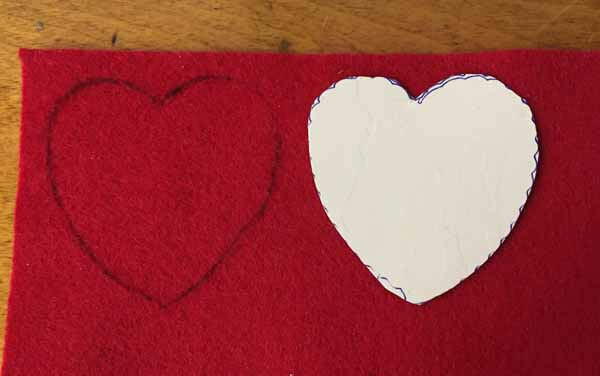 Fold the heart in half and cut two small slits about 1/2" from the edge. The pencil will be inserting into the slits. 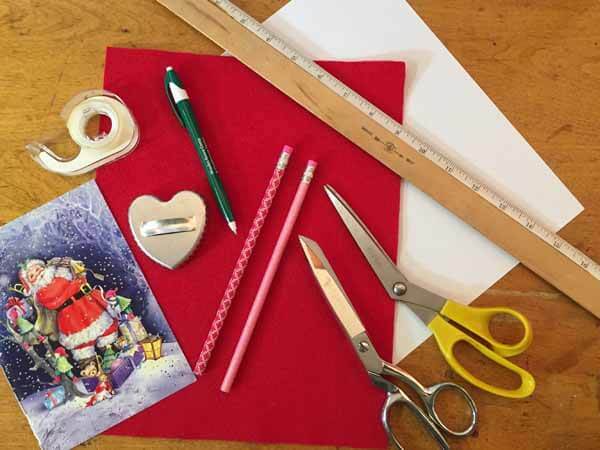 Cut strips ½” wide from white paper. 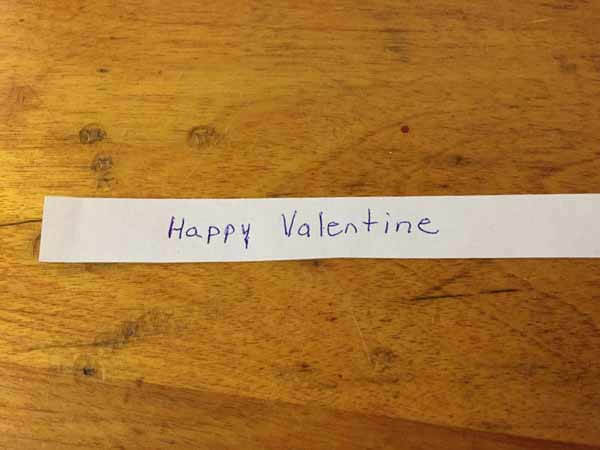 Write something on the strip about 1” from the end; such as, “Happy Valentine”, “You’re All Write”, “Write On Valentine” or “Happy Valentine’s Day”. 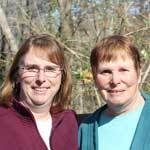 Don’t forget to put your name on the front or the back. 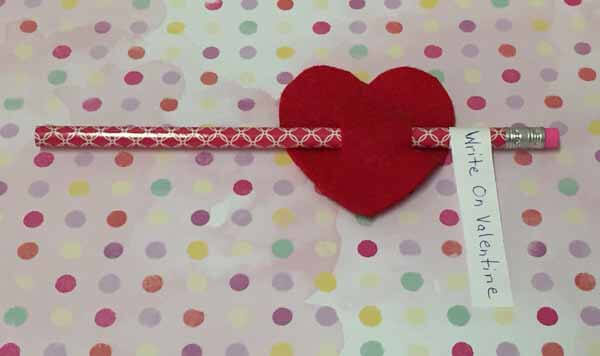 Attach a piece of double-sided adhesive tape to the back of the strip and wrap it around the pencil. 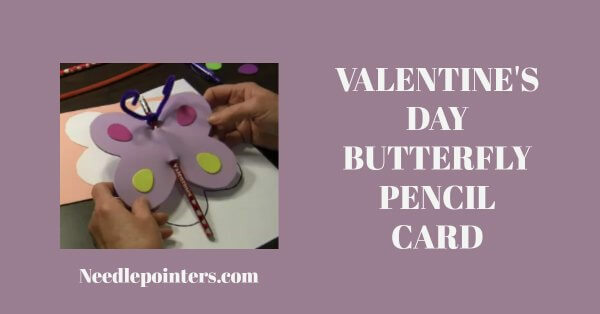 Insert the pencil into the slits in the felt heart. Easy, peasy! 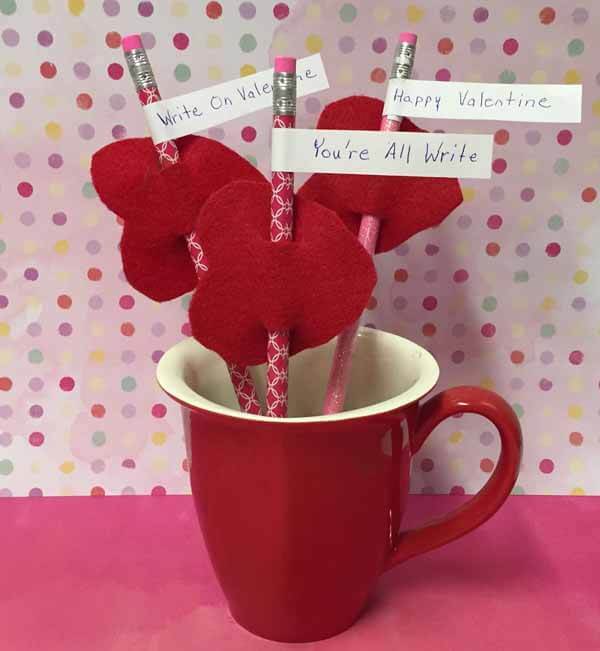 The heart pencil favor is complete. 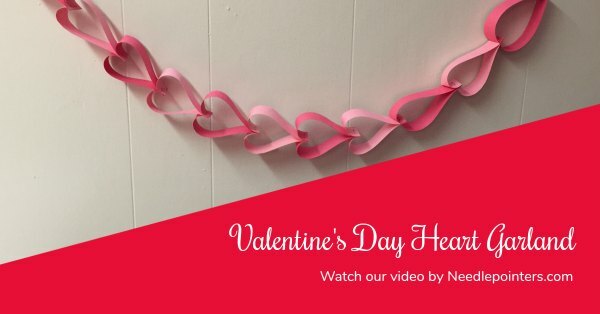 Here are some other crafts kids can make for Valentine's Day. 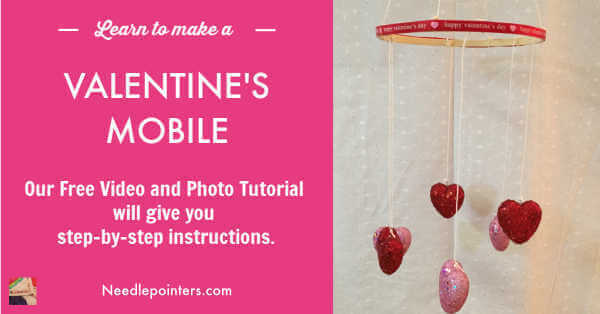 Click below to see how to make them.